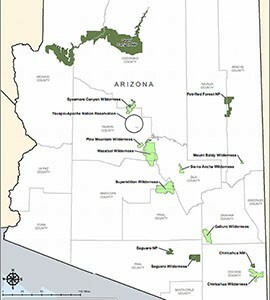 "Class 1" national parks and wildlife areas in the Southwest that would be affected by the EPA's plan to reduce emissions from some Arizona plants. WASHINGTON – The Environmental Protection Agency set new limits Wednesday on emissions from six Arizona industrial facilities in order to reduce haze at 17 national parks and wilderness areas, including the Grand Canyon. The final rule, published in Wednesday’s Federal Register, would cut more than 32,000 tons of pollutants each year from smelters, cement plants and a power plant to clear the air over “Class 1″ federal lands in Arizona, California, Utah and New Mexico. Twelve of those areas are in Arizona. Advocates for the Grand Canyon, the most-famous of the 17 affected parks, welcomed the move but said it does not go far enough, noting that several coal-burning power plants in the state are not included in Wednesday’s rule. The facilities that were covered by Wednesday’s announcement include the Sundt Generating Station Unit 4, Nelson Lime Plant Kilns 1 and 2, the Hayden Smelter and Miami Smelter, which will be required to install Best Available Retrofit Technology (BART) controls to meet the lower emission standards. Two other facilities – the Phoenix Cement Clarkdale Plant Kiln 4 and the CalPortland Cement Rillito Plant Kiln 4 – will be subject to “reasonable progress” restrictions. The BART standards regulate the amount of nitrogen oxide, sulfur dioxide and particulate matter the facilities are allowed to release. Reasonable progress rules deal with nitrogen oxide emissions only. “Once completed, the Miami smelter will meet the SO2 (sulfur dioxide) and NOx (nitrogen oxide) standards under the Clean Air Act’s Regional Haze Program,” the statement went on to say. Calls seeking response from operators of the other facilities affected by the ruling were not immediately returned Wednesday. The notice said the new emission guidelines will take effect Oct. 3. The Federal Register notice also said the EPA “would welcome a State plan to replace some or all of the Federal plan.” The Arizona Department of Environmental Quality did not return a call seeking comment. But environmental groups welcomed the move, even if it was not all they wanted. 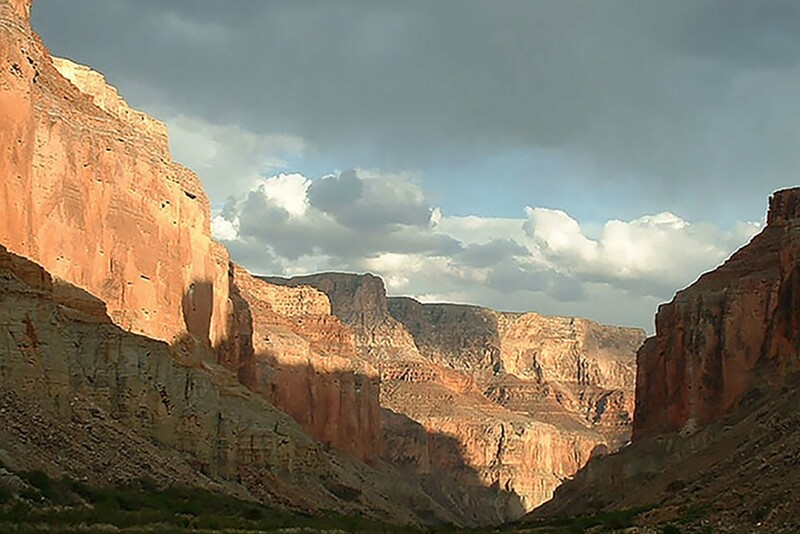 Newly announced emissions restrictions on six Arizona plants aim to reduce haze over 17 federal areas in the Southwest, including the Grand Canyon. 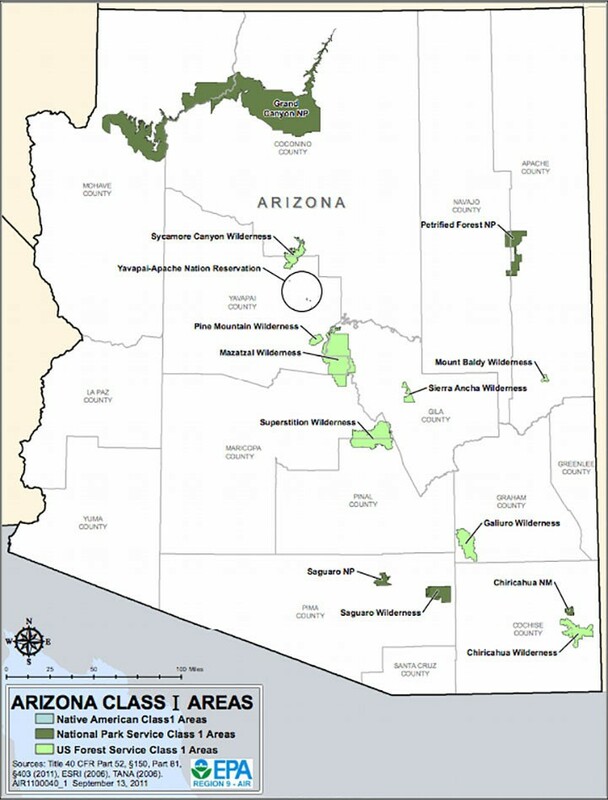 The 17 "class 1" federal areas in the Southwest that are supposed to benefit from cleaner air under new emissions limits from the EPA include 12 areas in Arizona.